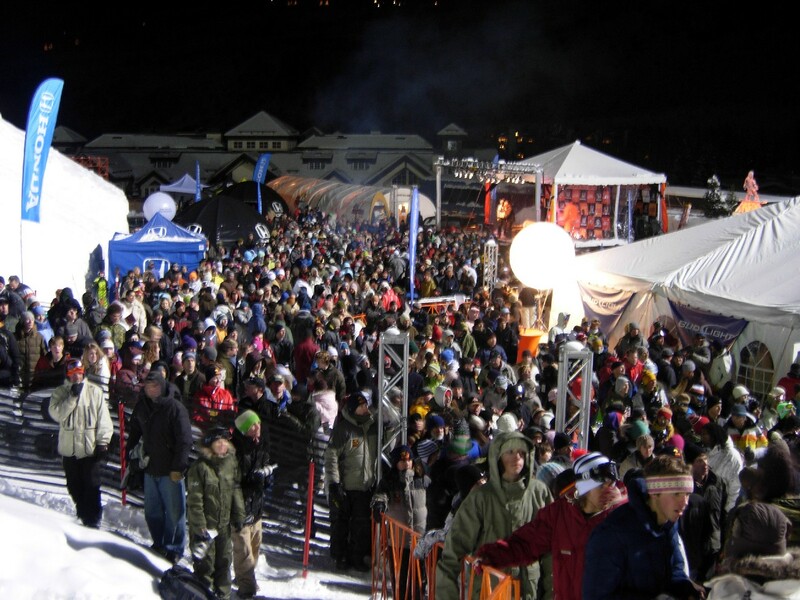 The South America Snow Sessions crew rolled into Vail Friday evening and went right to Golden Peak where the course was receiving some final grooming touches before the event went down. Honda Sessions takes the term Slopestyle course to a whole new level with 4 HUGE perfectly built jumps in a row and a wide up-down jib setup complete with a ½ bowl at the top made entirely out of lexan. Just looking up at the set-up in the growing darkness got our hearts pumping. I think there was more snow used to build the Honda Sessions Slope course than most East Coast have total this year including snowmaking. Of course as with any big event held at night with big sponsors there had to be fire, booths with marketing propaganda that you take but don’t need, a band playing on a stage way to early with no one watching, and a VIP tent with free things and food. Wahoo’s catered the tent and we chowed down on some sweet Mexican while catching up with South America Snow Sessions homies like Pat Milbery and Yale Cousino. The level of riding displayed at the Honda Sessions was unreal. Far beyond “stepping it up a notch”, these boys were throwing down! The course was so long and big that spectators could not see the top three jumps and had to watch the action on the big screen. Then we would see the rider come through the pocket between the 3rd and 4th booter and watch them explode off the 80 foot monster through a burst of flames shooting 30 feet in the air. There was NO margin for error for these madmen, catching an edge meant at the very least a broken bone at these speeds and with the spins being thrown down. As I tried to count rotations as the riders came down the course, my mind got blurred from the back to back to back to back combos so I just leaned on the Dingo to call the tricks for me. Andreas Wiig showed up to win. Coming in second for the past two Honda Sessions behind Shaun White must have gotten him pretty pissed because he was riding like a man possessed. The Shaun was not here this year, but Andreas did not relax for a second. His first run ended up securing 1st place and $30G’s!! BS Rodeo 1080 > Cab 1080 > Switch Backside 900 > FS 1080 all stomped and styled out like nobody’s business. Wiig clearly deserved the win, taking every trick the biggest the jumps allowed him to, while still being able to hold it together for the next kicker. He was the last rider to drop for the night and even though he knew had already taken 1st place, his “victory lap” consisted of repeating his winning run trick for trick. Sickness. 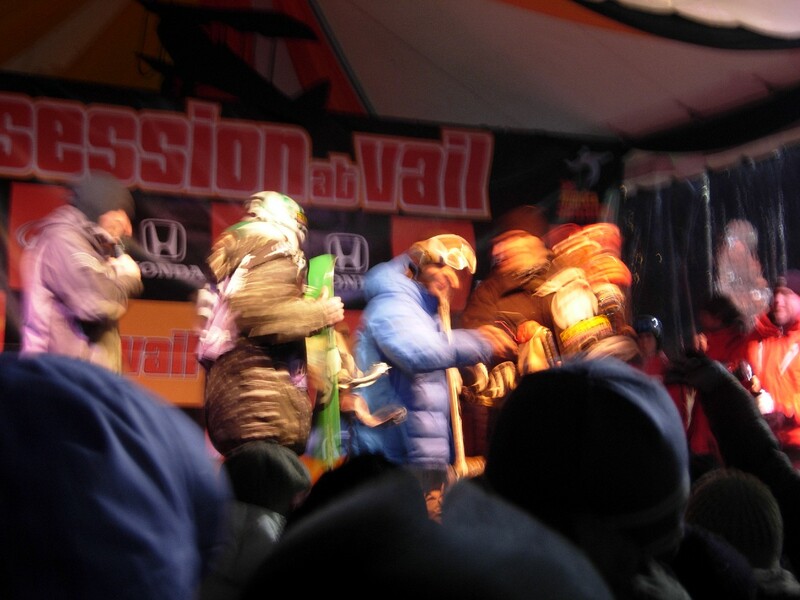 David Benedik ended up in second, applying his technical mastery of spinning on his shredstick to the Honda Sessions Slopestyle course. I would not have wanted to be a judge with this level of riding as it came down to subtle variations within the tricks and landings, amplitude and consistancy that ended up scoring Wiig a 93.7 and Benedik a 90.7. Mr Benedik was awarded $20 grand for his efforts though, which I am sure took some of the sting out of the loss. Once the riders got to the jib section, the personal touch was added onto their run with FS grinds around the entire bowl, Gap BS 3’s up the jib line to handplants, noseblunts and just about any other jib trick you can think of. Chaz Guldemond (NH represent!) carried on his tradition of getting upside down off of all types of jibs as much as possible with perfect McTwist up and out of the bowl and stomped on all lexan. Chaz Guldemond continued his assault on the contest scene by stepping into 3rd place with a 84.3 and being $15G’s richer! Chaz rides hard, takes chances and likes to push the limits of what is possible on a snowboard with a ridiculous BS 1260 to finish his jump run. When it comes together for Chaz, every single competitor is in his sights. Huge props go to Dan Breezy as one to watch for, this kid was unreal! Check THIS run out… Switch BS 9 double grab to FS 1080 to Frontside DOUBLE CORK 1260 to a Switch Backside 1440 attempt. Huh…are you kidding me?? Just unreal. I kept thinking to myself how crazy it is how quickly snowboarding can progress in just one year. K Pierce busted out Shaun White’s winning run from last year’s Honda Sessions (Cab1080 > Switch BS 900 > FS 1080 > BS 1080) didn’t even break into the top three. 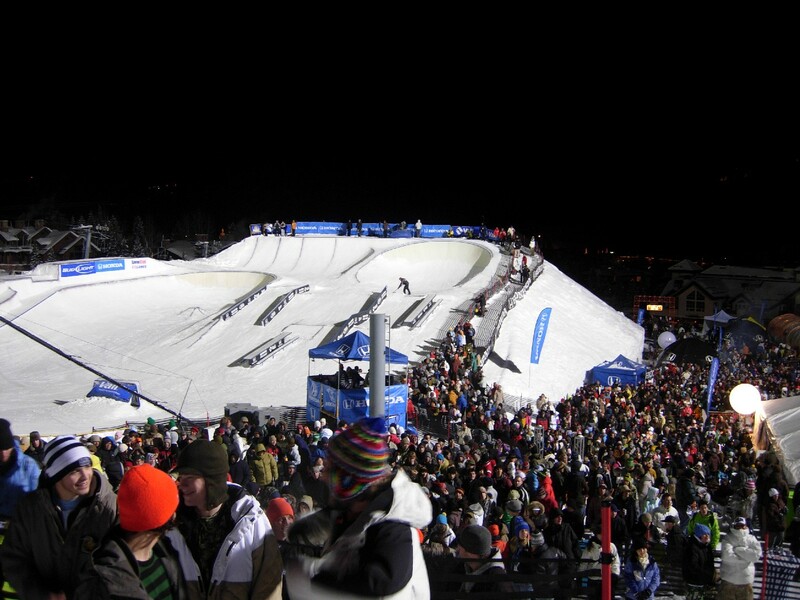 The Honda Sessions course is definitely at the forefront of the progression of Snowboard Slopestyle contests. It was a well-built course that the riders trusted as was evident by them pushing the limits of what is possible on a snowboard. The folks at Vail pulled off yet another unreal contest both for the riders and spectators. An unreal job by the park crew was accomplished in erecting and maintaining that massive course. 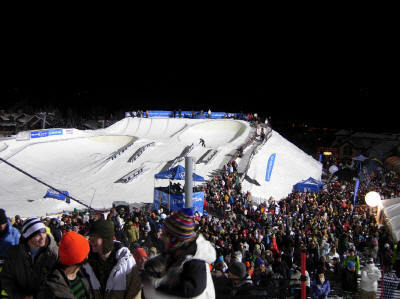 We will be back next year to see just how much farther it is possible to push the sport of snowboarding.